Description:This Read is not listed in the books because the Eastern biased artillery book authors probably never saw one, or at least not many. There is a sleeved Read listed that is similar but different. Lawrence Christopher called these Texas Reads, presumably for a reason, but he is gone now. At 8.5in long and with the distinctive round nose, this little puppy is so ugly its cute. 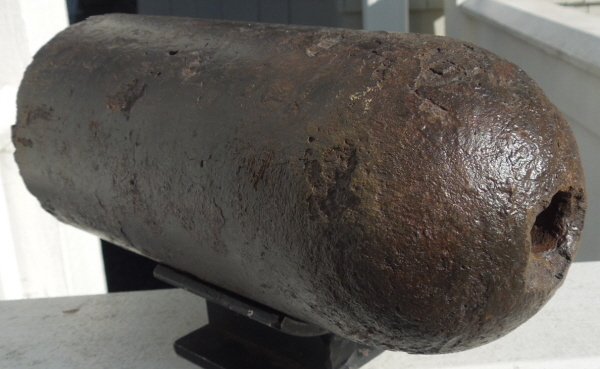 Has a neat gas bubble casting flaw in the side and a wrought iron sabot that is partially missing or this would be a much more expensive shell. Still displays nicely and I am pretty sure it will be a long time before you see another one.